6″x8″ mixed media painting on wood. The sides are 1.5″ deep and are painted red. I can really relate to this right now. Just trying new things. Staying inspired. Working through it. Not sure where it is going but must keep making marks. This entry was posted on April 16, 2014 by mpwynters. 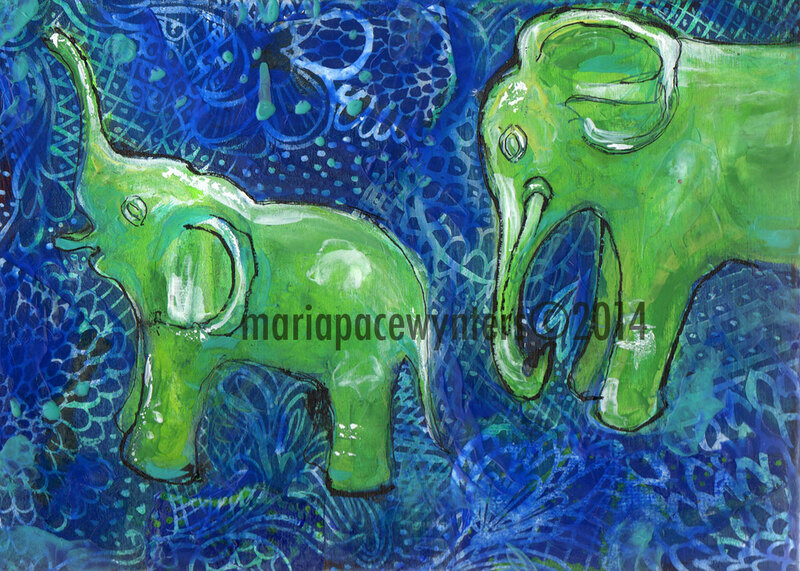 It was filed under etsy, illustration, Maria Pace-Wynters, mixed media, original art, Pace-Wynters, Painting, painting for sale, paintings and was tagged with blue, elephant, encaustic painting, jade, maria pace-wynters. mixed media, Painting, painting for sale, treasure.